Imprint your Neurology and Mind with new programs to multiply success factor using prestigious technology of soaring high in achievement NLP, Get eyes and jaws of a Hawk and heart like a Dove and emerge as a Hero in all areas of life. Play the inner game of mind-set to choose best of life. Sort how behavior-intention- outcome interplay to choose attitude of life. Collapse Bad Anchors to get relief from anxiety and negative feelings or habits. Learn to un-label by mastering neurological patterns. Make perceptual shift to communicate in strategic effective manner with diverse people. Bring the best of the individuals by setting inner resource access mechanism for them. Model piece of excellence that you admire in others. Learn matching and mirroring to attract anyone towards you to admire your uniqueness. Install elevated neurology to make better choices. Swish away temptation to live temptation proof life. 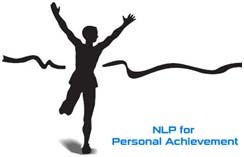 Break chain of bad Past Anchors, Reframe Personal history using special technique developed by Dr.Richard Bandler.